The Financial Times defines it as products or services that are being marketed using digital channels in order to reach consumers. Its main goal is to promote brands via different forms of digital media. This goes further than internet marketing because some venues don’t require internet usage. Examples of these include the use of mobile phones, social media, display advertising and the like. Digital marketing is a whole new approach and takes a different level of understanding customer behavior. It involves analysis and quantifying the number of downloads and views along all devices. It also includes interaction and replies on social media. Digital Marketing campaigns are something you encounter everyday most often through social media. It is an online marketing effort done by companies in order to drive engagement and earn revenue. It is part of the goals of the organization and usually includes one or more digital channels. Planning: It is the when you make goals, target customers and plan the campaign duration. Digital Marketing, as a term, was first hear off in the 1990s because of the coming of the internet. It was also the development of the Web 1.0 platform which allowed users to search but not share information. In 1994, Yahoo was launched and received close to 1 million hits on its first year. This led to huge changes in the digital marketing space with more companies improving their website for better search engine rankings. Google was launched on 1998 along with Microsoft launching the MSN search engine. In 2006, the digital marketing world experienced its first immense surge when the search engine traffic reached 6.4 billion in a single month. This led to Google expanding with products such as AdWords which are 3 line ads that show at the top when you search something and AdSense which is a cost per click advertising scheme. Their research to target ads to the interest of users instantly made them relevant in the business world. This led to the birth of social networking sites. MySpace was the first social networking site and because of its success was followed by several more like Facebook. Companies and brands saw the opportunities in these sites to market their products and this opened new venues for business. Simplilearn gives a very detailed history if you want to learn more but as you can see, it is really an up and coming venue for selling products and services. It is now an vital part for both the businesses and the customers. It doesn’t stop at having a website but goes beyond that therefore requires the need fordigital marketing strategies. This is due to the Internet becoming a part of our everyday lives. This equates to the value of digital marketing in order for a business to thrive. You are able to reach your audience where they spend their time the most which is usually on their phones. They are inclined to buy your product especially if it is to be promoted towards your target market. 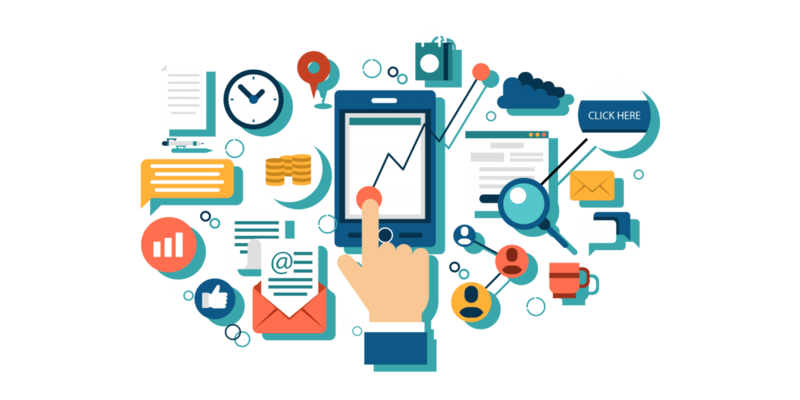 Whether you are a small or big business, digital marketing works because you are able to suit your ads. You can also adjust the duration due to your budget. You can also get into growth hacking if you want to take your business even higher. Branding has taken on a new level of importance with social media and the wavelength it can reach all over the world. For a more in depth list and tips for effective digital marketing, we actually have a full article here. The Philippines has been making big steps with keeping up in different digital marketing innovations in recent years and it’s only going to keep going. This is because of the high internet and social media usage. 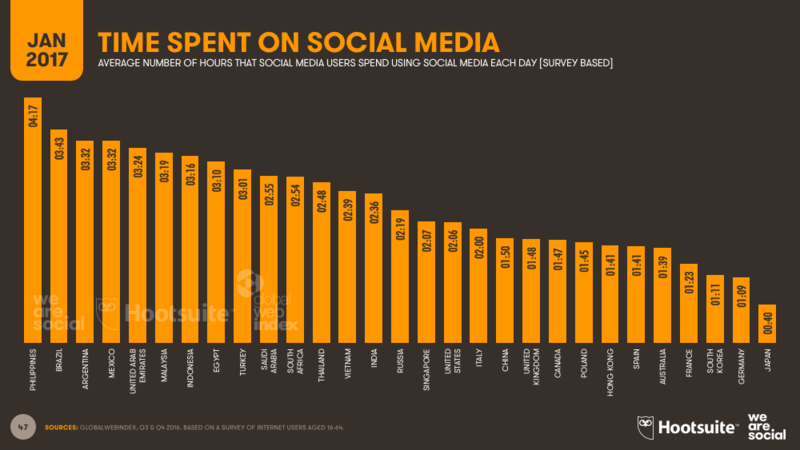 In the report of We Are Social’s Digital in 2017, it showed how Filipinos spend around 9 hours on the internet and 4 hours and 17 minutes on social media everyday making it the highest in the world. This shows how much Filipino consumers are active on the internet. They are also on the constant lookout for products that interest them. The need for digital marketing in Manila is greater now more than ever. There are more opportunities for so much advertising. The Asia Digital Marketing Yearbook 2012 revealed that 35% of Filipino Internet users are fine with online ads. This is as long as those are relevant to their needs. Most of which have said that it made it easier for them to find products. This shows a great chance for online advertising to work in the country. There is also the emerging fame of online shopping. With the increase of payment methods, it is easier for people of different classes to be able to order online. Cash on delivery which is still the preferred method by most Filipinos. Proper promotion and digital marketing can easily boost your brand so take part in this surge of successful online shops like Rags2Riches and Aranaz. With 39% of Filipinos checking social media before doing anything online, there’s a high spot of digital marketing for brands. Most of them rely on the information they get from these channels. It can range from videos to influencer reviews to Facebook interest groups. All of which are social media marketing opportunities that you can also tap into. This takes time and experience as you deal with many options like SEO and SEA and it can get quite confusing but you can easily learn with effort. Digital Marketing is really the way to go with your brand and business, you can check out our article about online marketing here and the top graphic design trends here. All of these are services we can easily help you with, feel free to contact us here if you want to grow your brand now!